Pomegranates are in season and probably on sale at your local grocery store. What better time to learn a little bit more about them and how to prepare them! Pomegranates are full of delicious, sweet seeds and like most fruits contain lots of fiber, antioxidants and vitamin C. Pomegranates also contain folate and vitamin K. Pomegranates can be a great way to add some vibrant fruit to your cold, winter days. 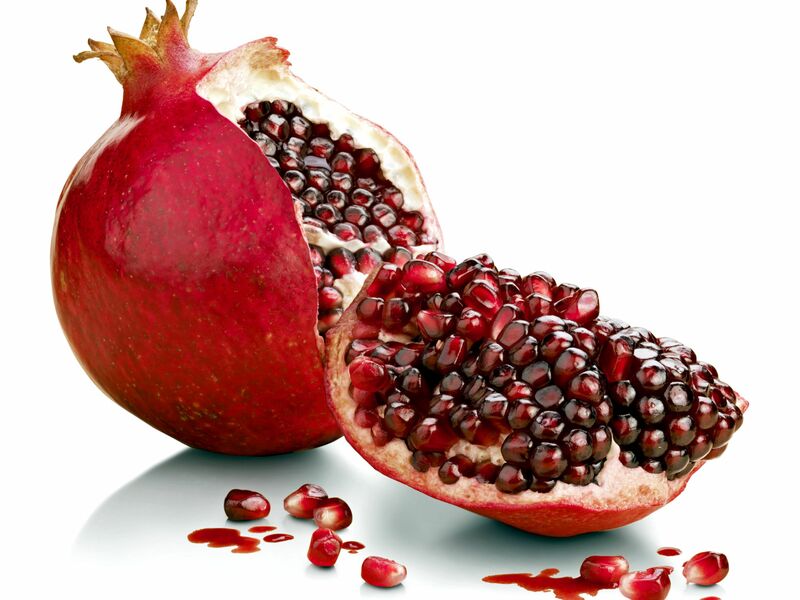 Choose deeply colored purplish-red pomegranates that feel heavy for their size. Avoid any fruit that is cracked or has soft spots. Store in an airtight bag in the refrigerator. Pomegranate seeds should be refrigerated and used within a few days. Pomegranates can be added to yogurt, oatmeal, cereal, and salads for a pop of color, crunch, and sweetness.